The Smoky Mountains are visited by more than ten million people each year. The mountains are known for their blue haze which resembles smoke. The best way to enjoy the Smoky Mountains, is to stay in a Smoky Mountain rental cabin . Nearby Gatlinburg, Pigeon Forge and Sevierville offer some of the best outlet shopping in the south, Dollywood theme park, dinner theaters, family oriented entertainment shows, games, rides, and much, much more. 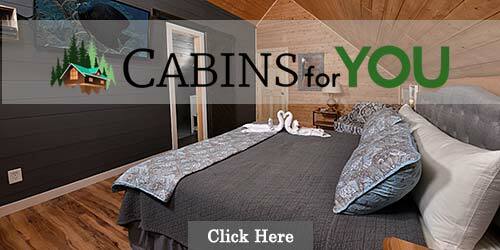 All of the cabins offer the same conveniences and amenities of a hotel room along with the privacy of a log home. The best views in the country are provided by the Great Smoky Mountains National Park. 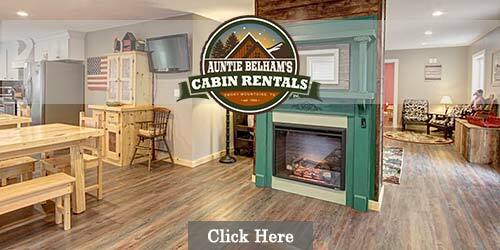 Most of these rental cabins have a game room, hot tub, and satellite or cable TV. A cabin in the Smoky Mountains is the best way to enjoy a quiet family vacation. Rental cabin sizes range from 1 to 12 bedrooms, and have various views of the mountains, valleys, and the national park. 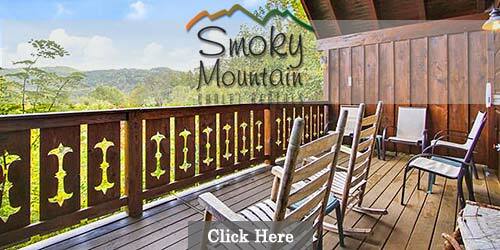 If you are looking for a vacation rental in the Smokies, then look no further than Smoky Mountain Vacation Info. 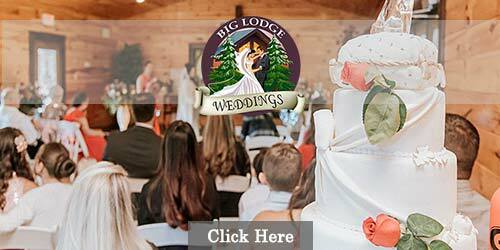 Learn more about Tennessee cabins in Pigeon Forge, Sevierville, Gatlinburg, and Wears Valley. Quite simply, Gatlinburg Falls is the newest, most elegant, amenity-filled development in the Smokies. Spectacular Heritage Log Homes nestled in large, heavily-wooded lots offer privacy and luxury like you've only dreamed about. Offering one to eight bedrooms with room to sleep up to 26, the "cabins" are perfect for families and friends looking for a memorable vacation or honeymooners looking for the perfect way to celebrate their new union. Enjoy the privacy, the luxury, the serenity that can only be found in Gatlinburg Falls...and simply never get enough! Welcome to Gatlinburg Falls, where you simply get it all. 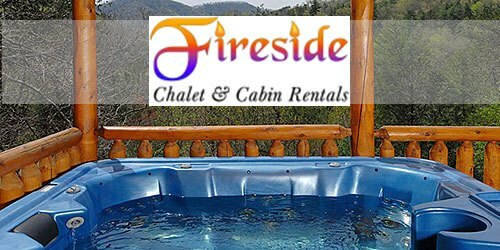 Are you looking for luxurious cabins at affordable prices along with amazing guest services and support? 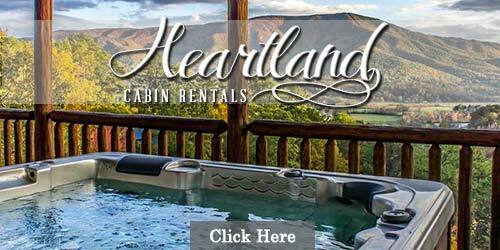 Heartland Cabin Rentals, with offices in both Gatlinburg and Pigeon Forge, offers a big selection of cabins in the Smoky Mountains. Your family will enjoy amenities like, hot tubs, fireplaces, jacuzzi tubs, free WiFi, flat screen TVs, mountain views, privacy and much more to make a memorable vacation in the Great Smoky Mountains. During your stay, you will also receive the "Gateway to Fun Pass" that allows for free tickets to some of the best attractions in our area! HRC is family owned and operated since 1993. 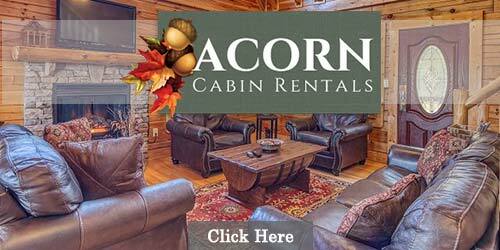 Looking for the best Pigeon Forge cabin rentals available? Visit www.cabinsusa.com for quick pricing on all of our premier accommodations. View details and photos of our 250+ cabins ranging from one to seven bedrooms with breathtaking views, Jacuzzis, fireplaces, fully equipped kitchens, internet access and much more. Whether you are planning a romantic getaway with that special someone or a group retreat with friends and family, Cabins USA is here to meet your needs. Our cabins in Pigeon Forge provide the seclusion you desire, yet they are conveniently located near area attractions, restaurants, shopping malls, and the Great Smoky Mountains National Park. For more than 25 years, Hidden Mountain Resorts in Sevierville and Pigeon Forge has been one of the most popular overnight rental companies in the Great Smoky Mountains. Why? Start with the fact that we have hundreds of properties available in two different resort locations. Regardless of whether it's a one-bedroom love nest or a six-bedroom lodge, each of our cabins is well made, tastefully decorated and has its own unique features and charm. We keep our guests as happy in the cabin as they are when they're out playing, and we do that with amenities like hot tubs, whirlpool tubs in the bathrooms, fireplaces, decks with views, game rooms, fully equipped kitchens and much more. 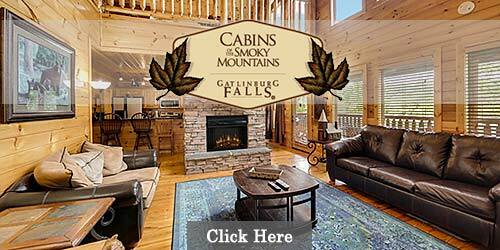 Best of all, we have cabins that offer everything you want in a Smokies vacation. We offer the peace and seclusion that you desire from a trip to the mountains, but you'll always be close enough to town to take advantage of all the attractions, theaters, shops, restaurants and special events. Call us today to book your ideal vacation getaway in the Smokies! 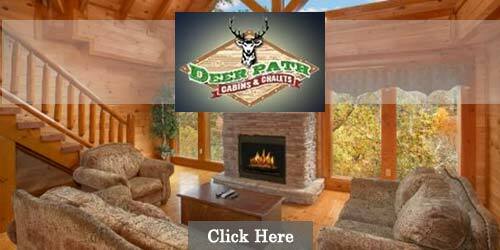 Deer Path Cabins offers over 150 Cabin, Chalets, Villas, Cottages and Condos in the Pigeon Forge area. Blending Rustic Charm with the very best in modern comforts, our accommodations offer amenities that include Plazma HDTVs, Premium Sound Systems, Pool Tables, Private Hot Tubs, Tennessee Stacked-Stone Fireplaces, Jacuzzis, BBQ Grills, Spectacular Views and best of all, you will be close to all of the area Attractions, Restaurants, Shopping and the Glorious National Park! 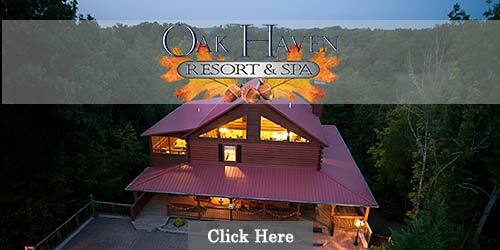 From a Romantic Weekend Getaway for two or a Family Reunion for 50 we offer something for everyone. 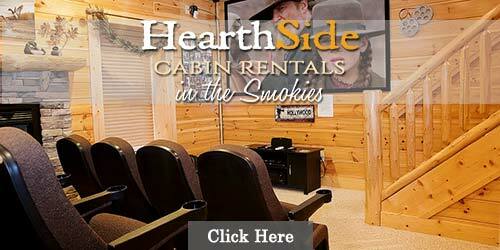 At HearthSide Cabin Rentals, we believe that every trip to the Smokies should be as exciting and memorable as possible. Because of this, we have built our business around providing families with the best Gatlinburg and Pigeon Forge cabin rentals available. Our spacious cabins offer guests a variety of luxurious amenities including spectacular views, in-cabin pools, pet-friendly accommodations, movie theater rooms, fully-equipped kitchens, relaxing outdoor hot tubs, free wifi, and more. Adding to the excitement, families choosing to stay with HearthSide Cabin Rentals will also enjoy free tickets and discounts to many popular area attractions and restaurants including Lumberjack Feud Dinner and Show and Lazerport Fun Center. 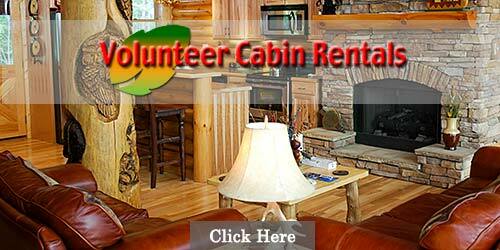 Whether you are traveling by yourself or in a group of more than 70, we have the perfect cabin rental for you! To find out more information on our affordable cabin rentals, or to begin planning your next visit to the Smokies, give us a call at 1-888-993-7655, or visit our website at www.hearthsidecabinsrentals.com. Acorn Cabin Rentals offers cabins with the finest of furnishings conveniently located near Dollywood, Gatlinburg, Pigeon Forge, Ripley's Aquarium, shopping, fishing, white water rafting, golf, and the great hiking and waterfalls of the Great Smoky Mountains National Park. 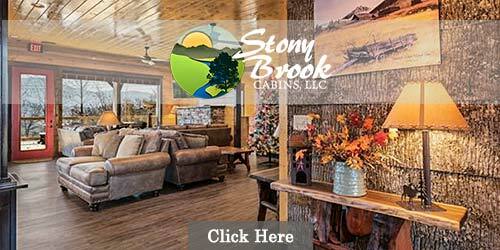 These great cabins are perfect for a romantic getaway, honeymoon, family vacation, reunions, or a corporate retreat! The perfect destination for reunions of any kind, Acorn Cabin Rentals allows everyone to reconnect with premier lodging and four-seasons of Smoky Mountain fun! 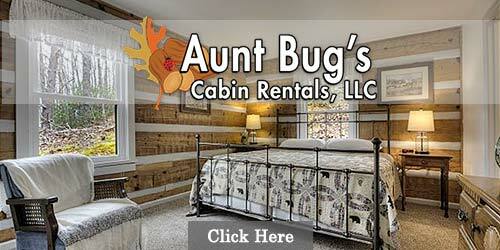 Aunt Bug's Cabin Rentals offers the perfect vacation cabin rentals in East Tennessee. Whether you are looking for a Pigeon Forge, a Gatlinburg or Smoky Mountain Cabin Rental, with a spectacular mountain view or view of the Little Pigeon River, Aunt Bug's Cabin Rentals offers affordable deluxe cabins to suit your family's needs and vacation budget. We are close to all the attractions including Great Smoky Mountains National Park, outlet malls, Dollywood, restaurants and more. Come see us in Pigeon Forge, TN. 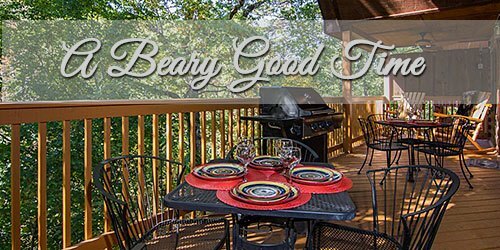 There are lots of cabins to choose from when searching for vacation accommodations in the Great Smoky Mountains, but few stack up to A Beary Good Time, a 4-bedroom, 3.5-bath gem located within Hidden Springs Resort in Pigeon Forge. This luxury multi-level cabin is bursting with amenities, including outdoor hot tub, charcoal grill, multiple USB charging stations, washer and dryer, and two electric fireplaces. There's even a game room that was made for good times, thanks to a pool table, air hockey table and upright arcade game system with 60 built-in games. The home boasts multiple flat-panel TVs, including one in each bedroom, and each bedroom also comes with its own private bathroom. This property is less than two miles from Dollywood, three miles from other top Pigeon Forge attractions and only 20 minutes from Great Smoky Mountains National Park. Stunning Smoky Mountain views plus top-notch cabin amenities is what you'll find (and then some) at Cabins for YOU! Boasting 320+ cabin rentals of all shapes and sizes - we've got the perfect cabin to suit your Pigeon Forge or Gatlinburg vacation needs, from romantic 1-bedroom retreats to entertaining 14-bedroom lodges. Cuddle by the stone fireplace with your sweetheart, play pool and foosball with your pals, watch feature films in the home theater, and soak in majestic mountain views from the bubbly hot tub every evening...and that's just the start. 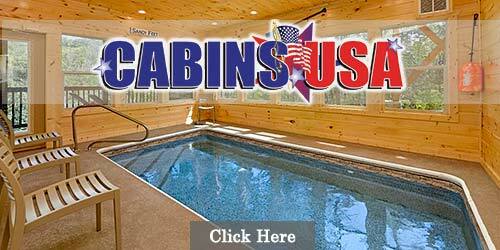 Call your Vacation Specialist at 1.866.374.5977 or reserve your dream cabin online today! 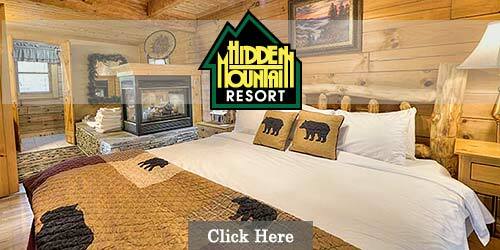 Offering Gatlinburg cabin rentals and Pigeon Forge cabin rentals ranging from 1 - 14 bedrooms. Book online 24/7. View details and photos of our 250+ cabins ranging from one to seven bedrooms with breathtaking views, Jacuzzis, fireplaces, fully equipped kitchens, internet access and much more. 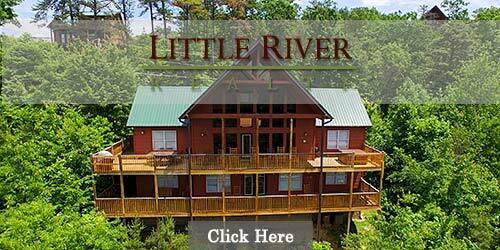 Great for planning a romantic getaway with that special someone or a group retreat with friends and family. Lookout Lodge in Wears Valley. 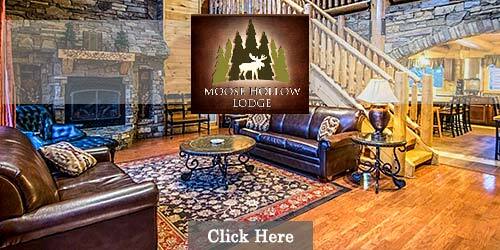 Stay in the most magnificent log home in the Smoky Mountains. Enjoy the seclusion of this mountains while only 15 minutes from Pigeon Forge and 20 minutes from Gatlinburg and the Great Smoky Mountain National Park.